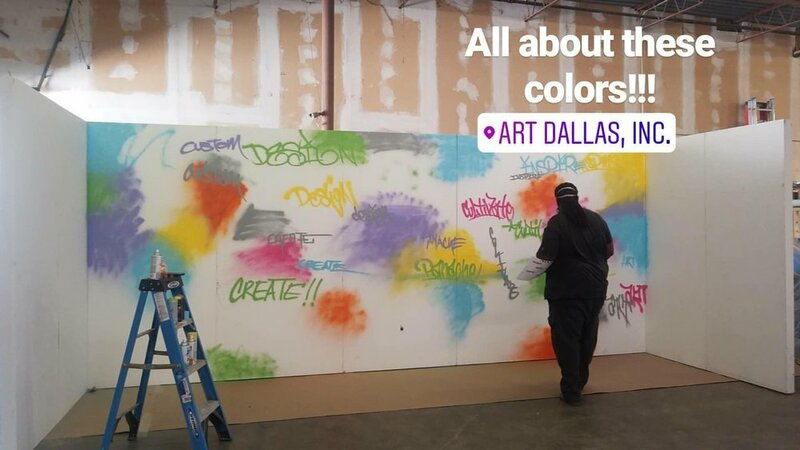 Art Dallas commissioned this graffiti wall, created by a Dallas artist well known for his graffiti work locally. The letters were routed out of wood to stand out from the rest of the booth. 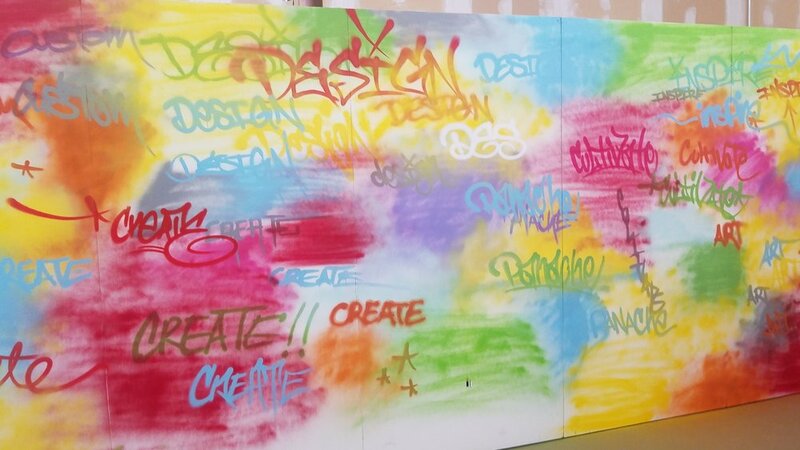 'Custom,' 'design', and 'create,' are all things Art Dallas does in-house. 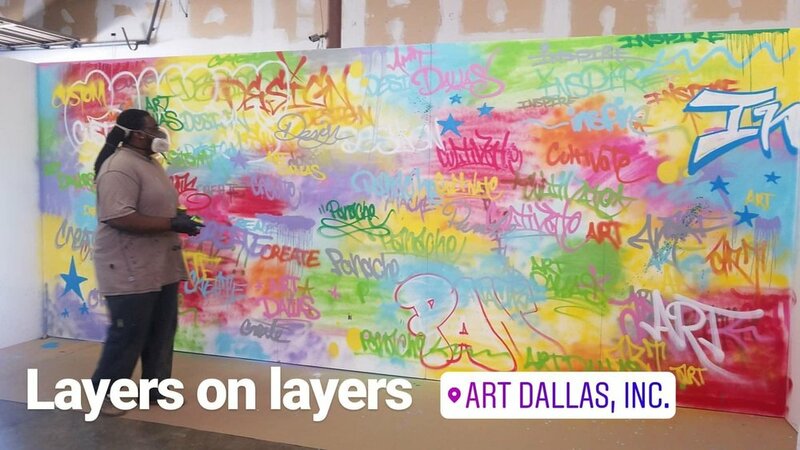 The artist commissioned for the graffiti portion of this work is a local Dallas artist you need to watch. 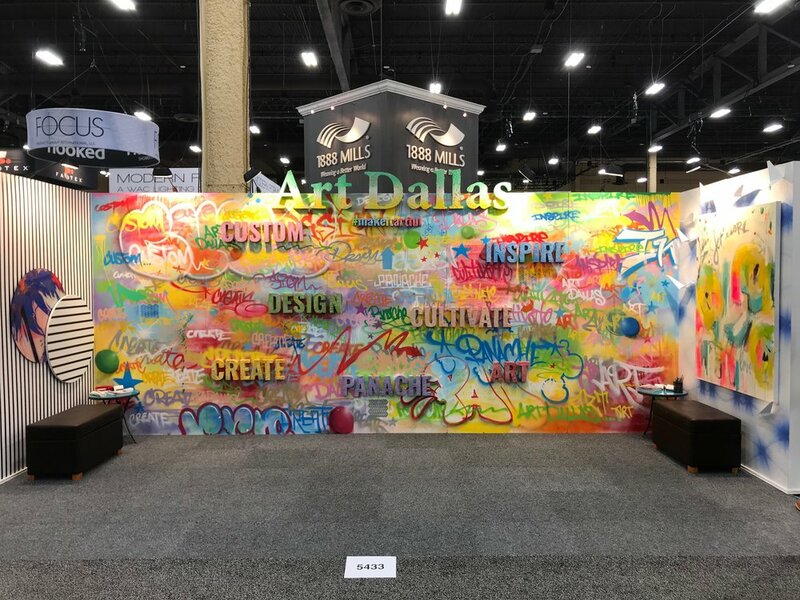 Krik Garnett spent a week creating this work with the direction of the Art Dallas art consultants and design team. As a young progressive artist of modern hieroglyphics, fine art, and design, Kirk “NOIR” Garnett has opened up his mind of color to the world around him. While being influenced by many of the greats, Kirk has chosen to push the ideology of peace, unity, love, and having fun through his expression and teachings.